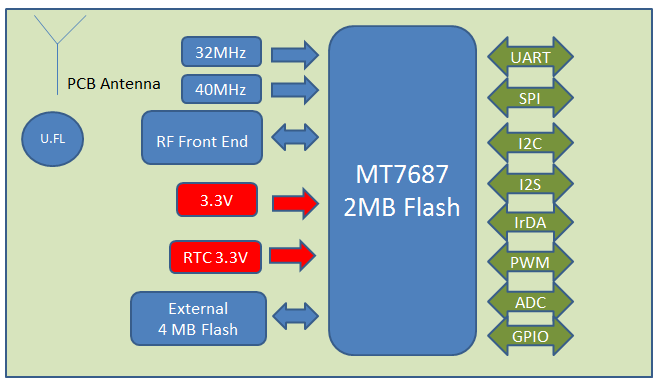 PT7687W-S module is a low-cost, low-power consumption and highly-integrated embedded 1X1 11b/g/n single-band Wi-Fi module specially designed for IOT market. 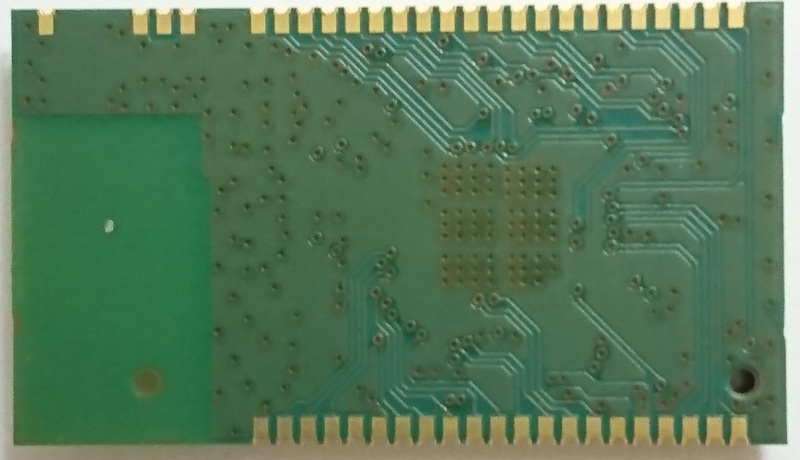 This module adopts the MTK SOC chip which contains an ARM Cortex-M4F MCU application process running at 192MHz, Wi-Fi subsystem and power management unit (PMU). 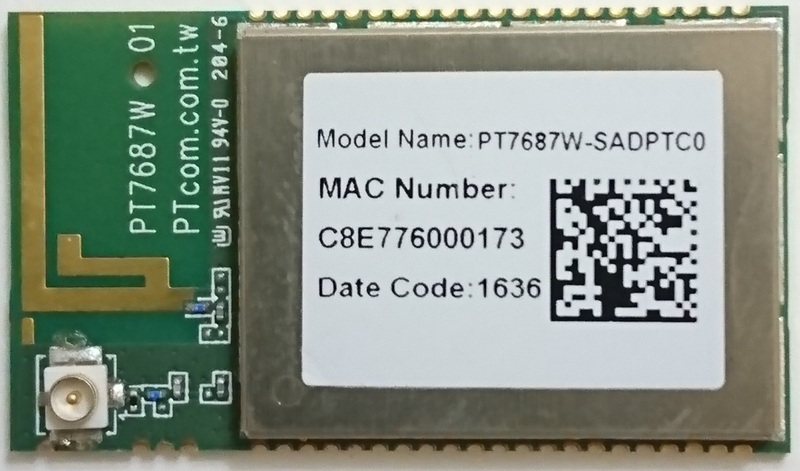 PT7687W-S has embedded 352KB SRAM, 64KB boot ROM and optional 4MB serial flash running at RTOS environment. It also support many peripherals which including UART, I2C, SPI, PWM, IrDA, and auxiliary ADC. This is perfectly suitable for all variety of applications in the IOT market.